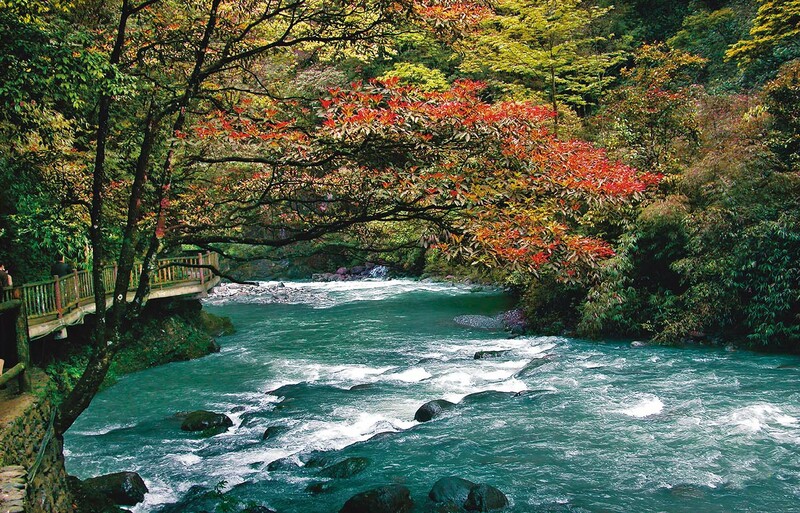 This is a 5A scenic area with around 97% forest coverage, 110km from downtown. 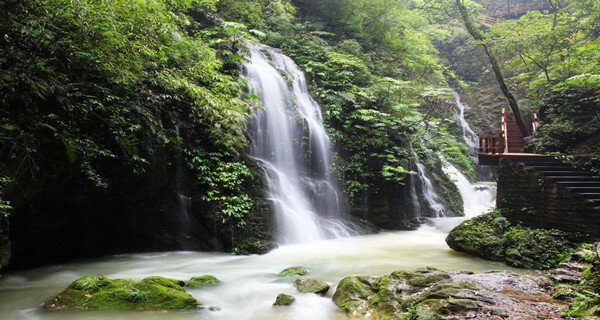 It is a popular summer resort with crystal clear streams, steep and densely wooded slopes and serene valleys. 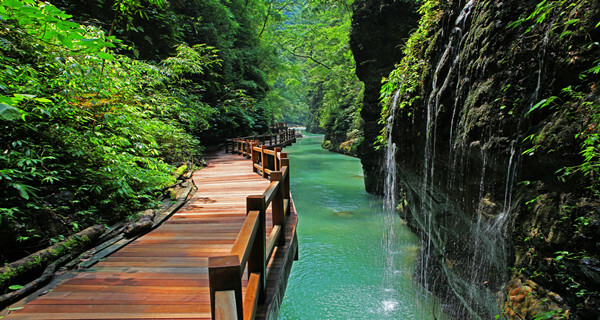 The hike passes through 2 narrow valleys, 13km long, much of which is along planked walkways above the stream and in one spot it’s possible to reach out almost touch both sides of the canyon, one in Chongqing and the other in Guizhou. There’s a chairlift from top to bottom, a 6km walked through the valley floor and there’s electric shuttle bus at the other end (cost not included in ticket) While the scenery is similar to The Golden Knife Gorge they are both worth a visit and there are many other attractions in the area like the Stone Forrest.